What I liked about the WSOP main event was the deep stack of 20,000 in starting chips. It really allows for some “real” play and not an all-in fest after 2 rounds. 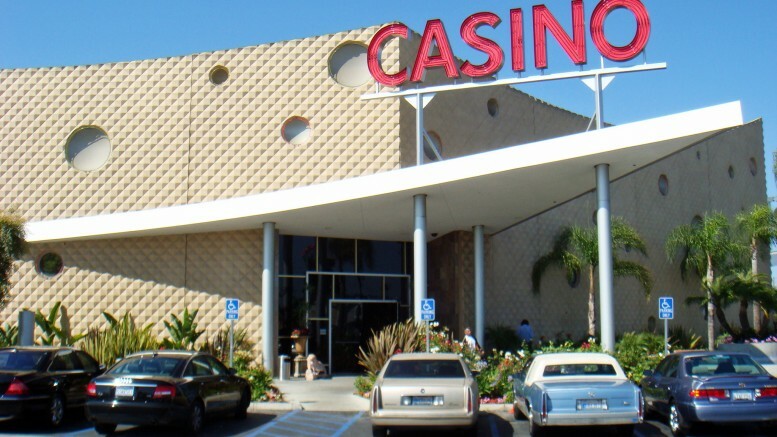 Back in the day at Caribe, they used to have a 10,000 chip Sunday tournament which I loved and won a few times. That’s also the reason why I’ve been going to the once a month Hawaiian Gardens deep stack tournament. Once again, I went down there for their 2pm once a month, Saturday tournament. This tournament starts you off with 3,000 in chips and the rounds are 30 minutes long. I actually got up to about 31,000 in chips at one point, but managed to throw away most of my chips by slow playing pocket Kings. What a disasterous miscalculation that was. My mistake was not taking into account how tight of a player my opponent was. There’s no need to slow play against a tight player. Another expensive lesson for me. But because I got up to such a large stack, I managed to hold on to make the final 2 tables and cash for the first time at this tournament. I wasn’t happy with my play but at least I made money. I’m going to try again next month. The very next day (Sunday), I went to the Hustler deep stack tournament for the first time at 3pm. This one starts you off with 5,000 in chips with 25 minute rounds. Compared to the 3,000 chip tournament, this gave me lots of playing time. I made 2 mistakes early on, and still managed to come back from less than 10 times the big blind back up to 16,000 in chips. You can only do something like that in a deep stack tournament. In one of those Commerce 1,500 chip tournaments, 1 mistake and you’re out. I’m going to try again next week for sure. I love the structure. After the tournament, I tried my hand at the cash game there at the Hustler on the $300-$500 no limit table. At this table, they give you free food so it’s as good as the Bike. I doubled up on one hand with a flush, which gave me room to experiment. One one hand, just for another $20 on the flop, I could have gotten runner-runner diamonds to make the nut flush against the winner (and chip leader) who had the King high flush. I’m pretty damn sure he would have called all in for $1,000 on the river. Woulda-coulda-shoulda. Oh well. After more than doubling, I had already decided to play just before my big blind and got pocket Aces. I hate it when this happens because I’ve had bad luck getting big hands right before leaving several times. I was in late position so I didn’t try to do any stupid limping like on Saturday. However, when I made a raise, 5 people called me out of position. Crap. That’s waaaay too many callers for pocket rockets. The flop is Jack high with no flush draw but with a straight draw. It was checked all the way back to me, so I came out really hard and bet more than the big pot that was there. I managed to get everyone to fold except the last guy who flat called me. I was hoping he had Ace-Jack which would make him drawing to 2 cards. I bet again on the turn and he again check called. On the river, he checked again and I decided to wimp out and check behind him. He showed Jack 8 off. WTF?! Jack with an 8 kicker?? Damn! I’m lucky he didn’t hit his kicker because I would have never thought he had an 8 kicker. Even a 10 kicker would have surprised me with all the money going in there. Well, that was a great way to end my day with pocket Aces holding up. For once, I made enough money to leave early, instead of staying all night to try to break even. I need to come back here for some more live action. Be the first to comment on "Deep stack tournaments"